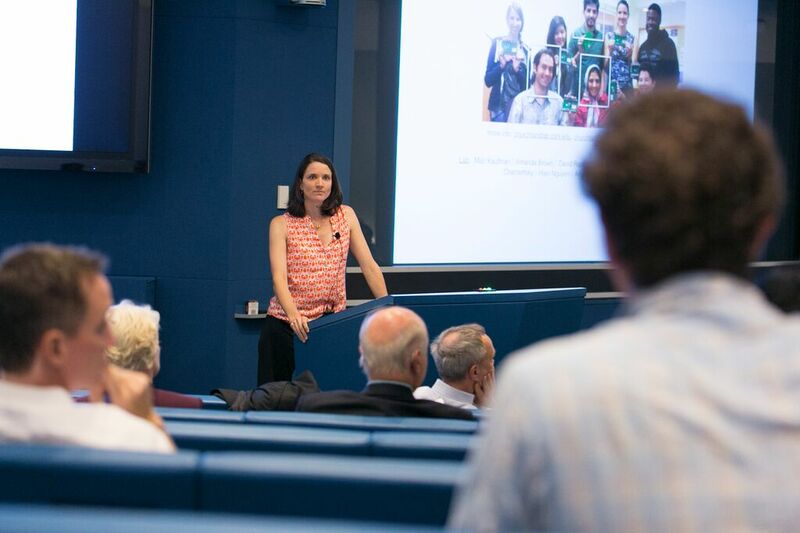 I recently attended a meeting as part of the Simons Collaboration on the Global Brain. A postdoc in my lab, Matt Kaufman, has an award from this group and so attended as well. The goal of the collaboration is to understand the internal neural signals that interact with sensory inputs and motor outputs to shape behavior. It was a fantastic meeting. Blaise Aguera y Arcas (Google) talked about machine intelligence and how it has advanced dramatically in recent years, easily accomplishing tasks that seemed impossible half a decade ago. Andrew Leifer (Princeton) talked about a new microscopy system for large scale imaging in c-elegans. 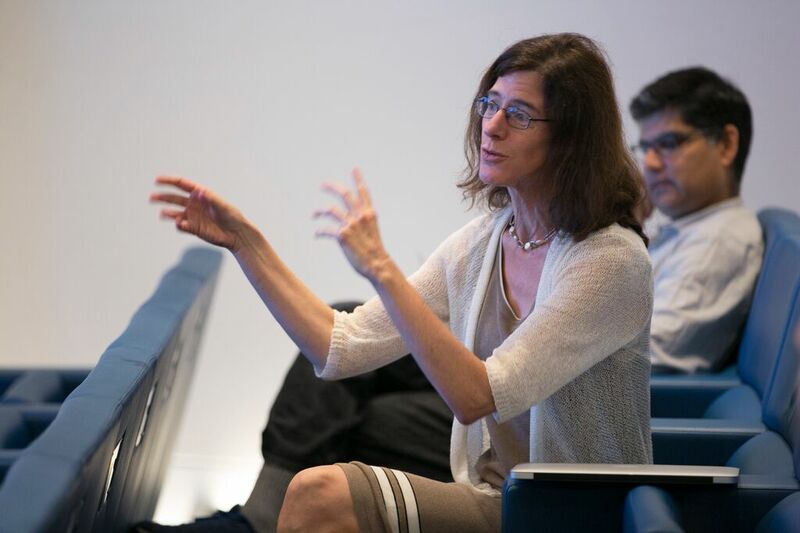 Marlene Cohen described a surprising observation she made that the increased firing rates seen during attention are accompanied by decreased correlations among neurons. A common theme among all the presentations was the idea that understanding these internal states requires considering the activity of large neural populations. A number of analyses were put forth to achieve that. The ones that were most interesting to me are designed to compare neural population activity during different kinds on behavioral states. We began to do this in our 2014 paper (see figure 7), but have r eally only begun to scratch the surface. The talks and conversations at the meeting expanded our thinking about new analyses we can use to get at this question. For instance, as an animal goes form making a decision to committing to action, does the population activity simply re-scale, or does it occupy a fundamentally new space? Our decisions are influenced in part by incoming sensory information, and in part by the current cognitive state of the brain. For instance, a rustle in the bushes can make you run away quickly if you are walking the dark and worrying about bears, but have little effect on your behavior if you are deep in thought about something else- your upcoming vacation, for instance. This led us to wonder, how do incoming sensory signals and ongoing cognitive signals interact to guide behavior? A postdoc in my lab, Farzaneh Najafi, is working to understand this, supported in part by the Simons Collaboration on the Global Brain. We were fortunate to have a collaborator, John Cunningham (Columbia University) visit us today, along with a graduate student in his lab, Gamal Elsayed. Their focus is on understanding neural activity at the population level, and in particular understanding how such populations evolve over time. We hope that their approach can offer insight into our question by helping us evaluate how population dynamics differ depending on the internal cognitive state of the animal. Farzaneh, John and Gamal are pictured below. 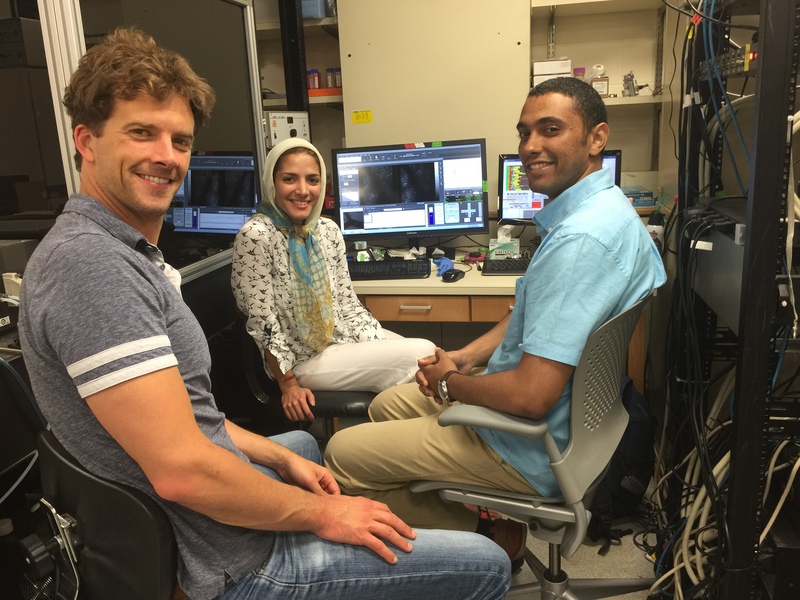 They are gathered at the 2-photon rig in our lab and are viewing neural activity of labelled inhibitory neurons. Behind on the literature in decision-making and sensory guided action? Here’s our summary. My lab members and I did a “Literature Blitz” today: each person in the group gave a short presentation, including only a single figure, on a recent finding in the area of decision-making and sensory guided action. Short presentations like this don’t allow for the in-depth discussions we have when we read a single paper, but they give us a snapshot of a whole field that we can absorb in just a few hours. This inevitably broadens all of our perspectives. 2. From R. Kiani et al in Neuron: Natural groupings of neurons, based on time varying response similarities, can define spatially segregated subnetworks. Surprisingly, these subnetworks have correlated noise, especially during quiet wakefulness when no stimuli are present. This approach suggests we might want to consider a new way to define cortical regions and subregions, especially in areas like the frontal lobe which has historically been difficult to parcellate. 3. From Strandbug-Peshkin at al in Science: This group fitted wild Kenyan baboons with GPS collars and worked out which factors determine their collective movements. The first part we might have guessed: the number of animals, and their commitment to a particular direction of movement play a large role in determining whether the other baboons will join the move. One aspect was surprising: although baboons have a strong social hierarchy, it doesn’t play much of a role in determine where animals go next. In other words, just because the king-of-the-pack goes north, it doesn’t mean the other baboons follow suit. 4. From Juavinett & Callaway in Current Biology: Here, the authors used intrinsic signal mapping to pinpoint multiple visual areas and then measured howthey differed in terms of their ability to represent complex motion. Specifically, they tracked whether individual neurons were sensitive to the pattern motion defined by a plaid created by two overlapping gratings. Similar to classic observations in monkey, there was a transition from primary areas which mainly reflected the pattern motion, to secondary areas (especially RL) which were more likely to respond to component motino. 5. From Chen et al in Nature Neuroscience: This paper showed that during learning of a level-press task, the spines of pyramidal neurons in primary motor cortex change dramatically. Further, they determined that this change was largely mediated by a specific class of interneurons, SOM+ neurons which preferentially target the apical dendrites of pyramidal neurons. 6. From Rohe & Noppeney in PLOS Biology: These authors used fMRI to evaluate how causal inference is performed in humans who must judge whether auditory and visual information bears on the same source. Their main observation is that this occurs hierarchically: in early sensory areas (A1 & V1), activity reflects the assumption that there are two sourcesof information, whereas in the anterior intraparietal sulcus, activity reflects the assumption that the two signals are from a common source and should be integrated. 7. From Murayama et al in Neuron: Projections from secondary motor cortex feedback to secondary somatosensory cortex to help shape information about texture in mice. This suggests that feedback projections play a key role in shaping sensory experience. 8. From Cooke et al in Nature Neuroscience: This paper coined a new term, “vidget”, which refers to a visually induced fidget. Apparently head-fixed mice are especially prone to these when they experience a novel visual stimulus, even a grating in an orientation they haven’t seen in a while. Using NMDA blockers and PV-ChR2 mice, the authors argue that memory for visual images, as evidenced by vidgets, requires area V1. 9. From M. Siegel et al in Science: Functions, such as knowledge of task context and visual responses, are shared, not compartmentalized, across cortical regions. Here. the authors recorded neurons in 6 cortical areas on a complex decision task and evaluated how representations changed from sensory to parietal to frontal regions. I liked the approach and hope the dataset will be further analyzed. By experimenting with different ways to combine neurons, the authors might learn more about the kinds of computations feasible in each area. That’s it! Please leave comments if you’ve read these papers and have any thoughts you’d like to add. The McKnight Foundation has been a big supporter of neuroscience in recent years and holds an annual meeting for recipients of their awards. These include recipients of a Memory and Cognitive Disorders Award, a Technology award and a Scholars Award, which funds early stage investigators like me. This year at the meeting, my third, I was accompanied by a postdoc from my lab, Matt Kaufman, who received a special travel award. 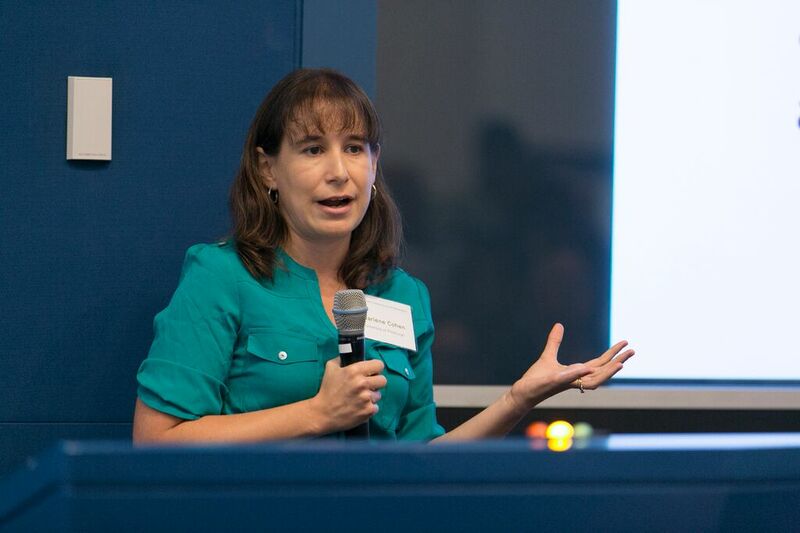 The travel awards for postdocs are new this year and are in honor of Dr. Allison J. Doupe, who was on the Board of Directors for the Scholar awards for a number of years. Allison passed away this past year and it was an honor for Matt to attend in her memory. 1. Hearing about recent work from Ben Barres’s lab. He warns that A1 (bad) astrocytes proliferate in aging brains & may play a role in Alzheimer’s disease. 2. 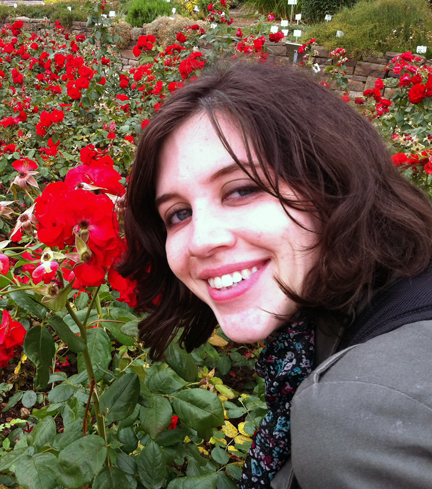 Some more comforting news about aging from Elizabeth Kensinger’s lab. She reported on the preserved ability of older adults to remember affective details of memories. In fact, older subjects sometimes outperformed younger subjects on this particular kind of memory. Finally, a high point for us was presenting a poster (below) with new 2-photon imaging from the lab. This technique is new for us and will allow us to measure the responses of many neurons at the same time. I am at Janelia Research campus this week, along with Lital Chartarifsky, a graduate student in my lab. The meeting organizers brought together researchers with highly diverse approaches to the problem of multisensory integration, from invertebrates, to rodents to primates. One feature of integration that appears to be common across these species is the ability to use the reliability of incoming inputs to guide the integration. That is, to down-weight noisy signals and up-weight reliable ones. This appears to be widespread, although whether common neural mechanisms support this ability in diverse species is unclear. An interesting talk on Day 1 came from Vivek Jayaraman’s lab. Vivek described responses in a part of the fly’s brain called the ellipsoid body (shown in the figure). His group measured neural responses in the ellipsoid body as the fly experienced a virtual reality environment in which its movements drove changes in a visual arena that surrounded it. The arena contained a visual bar and the bar’s position turns out to be key in driving responses in the ellipsoid body. In fact, by decoding the ellipsoid body neural activity, the researchers were able to estimate the fly’s orientation in the visual scene with remarkable precision. Surprisingly, the decode remained accurate for a while even when visual inputs to the fly’s brain were blocked. This last observation points to the ellipsoid body as driving an abstract representation of visual space, one that is derived from visual input and incorporated with self motion. This work was published just before the meeting in Nature. 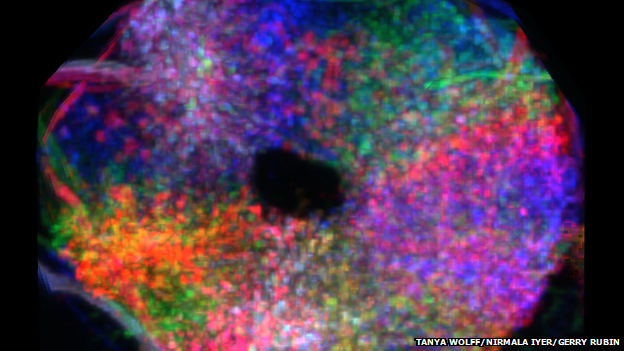 Does knowing where neurons are headed tell you what they do? In our lab meeting this week, we read a paper by Nuo Li, Karel Svoboda. These guys have been probing the function of a secondary motor area, ALM, for a while now, and have previously implicated it as playing a role in sensory guided movements, especially those following a delay. Here, they delved in deeper, asking how neurons within ALM drive movements. The work started with a puzzling observation: when you record neurons within ALM, they are a mixed bag in terms of what makes them respond: some respond in advance of movements to the contralateral side and others respond in advance of movements to the ipsilateral side. Here’s the weird part: when you disrupt this area, contralateral movements are particularly affected. This new result tackles that disconnect. What these guys found is that mixed bag of neurons that is apparent during recording is actually comprised of two populations, each with its own response properties. Some neurons (the green ones in the figure) project to brainstem nuclei, while others (the purple ones) project to ALM on the other side. Importantly, the former group is distinct: those neurons tend to respond preferentially in advance of contralateral movements, and when you stimulate them specifically, a contralateral bias is observed. This is a big deal for a few reasons. First, the experiments leveraged really cool tools that made it possible to selectively activate a projection-defined population of neurons. Second, it suggests that the heterogeneity of responses that electrophysiologists observe might be partly explained by the projection target of each recorded neuron. A population might only appear to be heterogeneous because traditional electrophysiology experiments don’t tell the experimenter anything about where neurons are projecting. However… I don’t know whether this will always be the case. When I was a graduate student with Steve Lisberger, I used antidromic stimulation, a classic technique also used in the current paper, to identify extrastriate cortex neurons projecting to the frontal cortex. In my (admittedly small) population, the response properties of projection neurons didn’t differ in any obvious way from the general population. So it may be that projection target can predict some properties of neurons in some areas, but that even a group of neurons with a shared target can nonetheless be very heterogeneous. A final thought: while discussing this paper in lab meeting, it was fun telling the students and postdocs in my lab about my own experiences identifying projection neurons and using the collision test to demonstrate the direction of the connectivity. It turns out that, back in the day, I actually made a movie of this! The lab claims it was clarifying, so I include it here for educational and amusement purposes. What can we learn about the brain by perturbing neural activity? Causal experiments are appealing. For example, perturbing neural activity in a particular brain area and seeing a change in behavior seems like good evidence that the brain area in question supports the behavior. Experiments that instead just correlate neural activity to behavior are criticized because the relationship between the two could be simply coincidental. But is this really fair? Cosyne workshop organizer Arash Afraz, a postdoc in Jim DiCarlo’s lab at MIT, brought together 6 of us to argue it out. 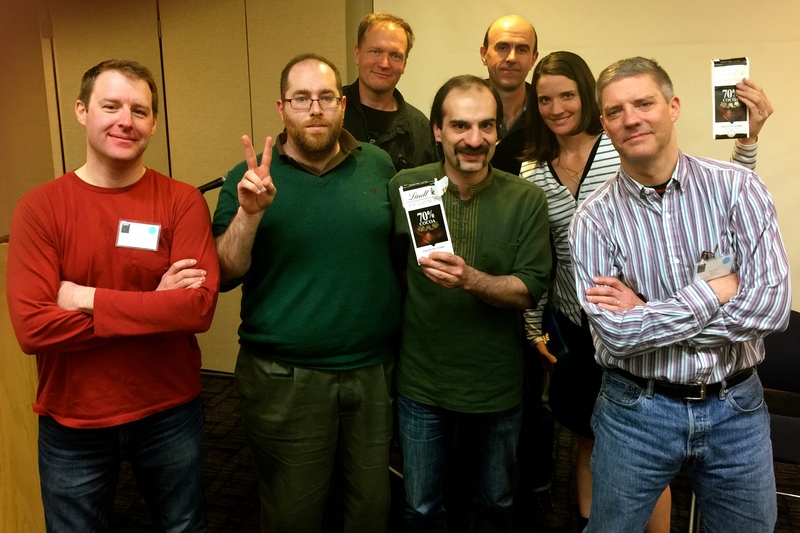 The lineup included myself, Karel Svoboda, Rick Born, Chris Fetsch, Mehrdad Jazayeri and Daniel Yamins. A number of interesting points were brought up. For instance, one problem with perturbation experiments that is not at first obvious is that they drive neural activity in such an unusual way that they actually expand the space of possible hypotheses rather than restrict it. On the other hand, the fact that neural activity during perturbations is unusual might be a strength: pushing the system into states it doesn’t normally occupy might offer key insights into what the area does. In the end, we agreed that in some circumstances, assuming correlation implies causation is truly the optimal strategy. 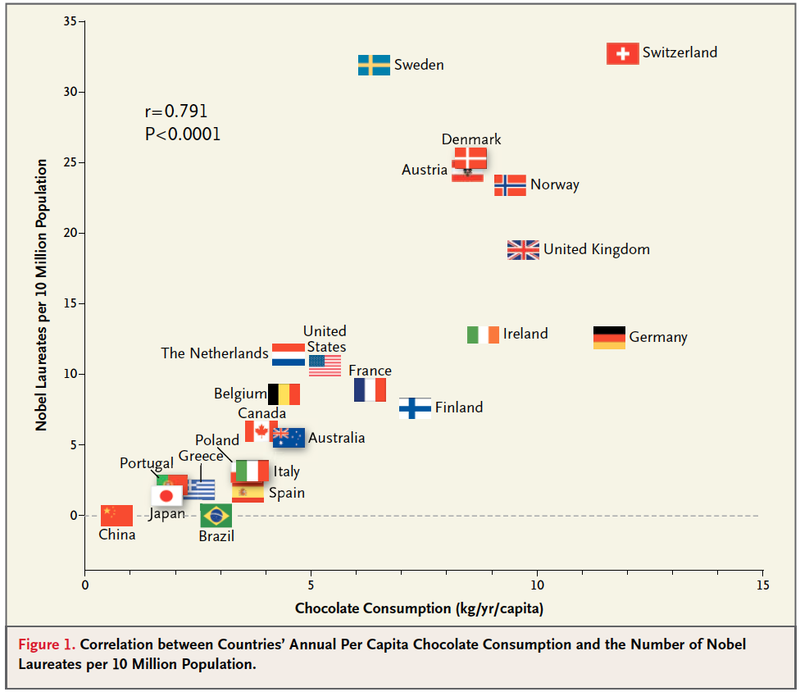 Well… okay, only 1 circumstance, but its an important one: the correlation between the national rates of chocolate consumption and nobel prize frequency (right). There are a lot of alternative explanations for this relationship, but to be safe, we all decided to eat more chocolate anyway (hence the Lindt bars in the photo above). Brains live inside bodies that move around, and this simple fact means a lot of extra work for neural circuits. Imagine you are following a flying bird with your eyes. If your brain needs to know how fast the bird is moving in space, it needs to account for the fact that the image of the bird on your retina is altered by the movements of your eye. A Cosyne Workshop talk by Larry Abbott provides some new insights into the neural circuits that make this possible. He did this work with a number of collaborators, including Anne Kennedy (right) and Nate Sawtell, both known among the cosyne crowd for their innovative approaches to complex problems. 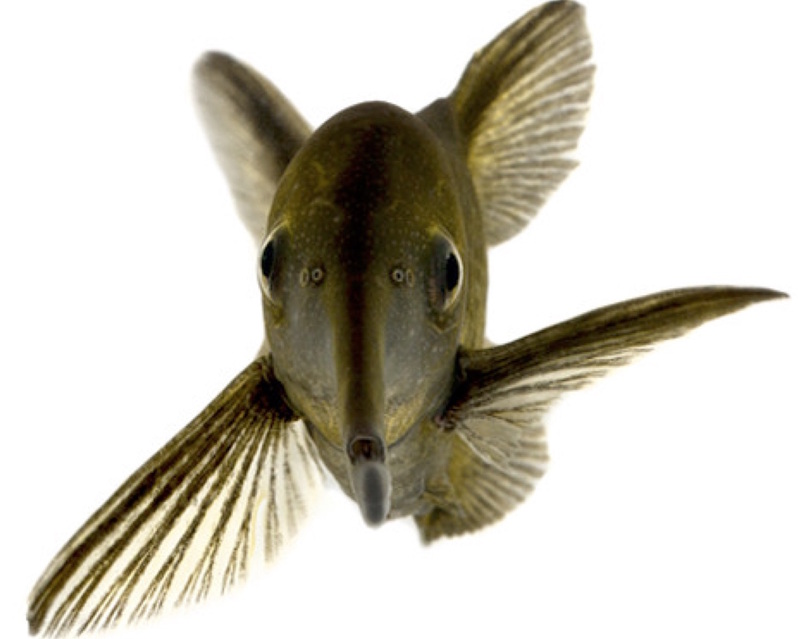 The model organism the group used to tackle this problem was the electric fish, which detects its dinner (fish and bugs) by sensing the electrical signals they create in the water. The challenge for the fish is that it sends out electrical pulses to accomplish this, altering the electrical signals that its sensory organs experience, just like in the case of vision and the bird above. The key advance Larry talked about (part of which is published here) is that they made a large-scale realistic model that included 20,000 neurons. These were manufactured based on response properties of a smaller number of real neurons observed in a laboratory setting. Their model solved the problem by constructing a negative image of the signal sent out, and then subtracting it from the detected inputs. A key test for the model is to see what happens when the animal sends a descending command to emit the pulse, but this never actually happens (as if the fish were paralyzed, for instance). When this happens, the signal needed to be subtracted out changes. Once conditions are brought back to normal, a signature of this adjusted signal is evident. This was true in both the model and the fish. An exciting future direction, to my mind, will be to see the degree to which the circuits that accomplish this behavior are similar in humans. Because subtracting out the consequences of movements if fundamental for all organisms, similar strategies could be evident even in very different species. I started this year off with some travel, giving seminars in 3 places. I started off visiting Duke University where I was hosted by D-CIDES, an interdisciplinary group of decision-making researchers that includes neuroscientists, economists, and sociologists and people from the business school. I met many new people, including Rachel Kranton, well-known for her work on identity, who described her recent research looking at gender effects in decision-making. We found common ground discussing analysis methods for big datasets, a theme that reappeared during a conversation with Kevin LaBar, whose recent paper used a familiar technique, multivariate classifiers, to predict emotional state from multiple kinds of physiological measurement. At both Brandeis and Pittsburgh, I was the student invited speaker which is, of course, a great honor! At Brandeis, I spoke with Steve Van Hooser about his recent paper in Neuron (along with Ken Miller and others) about divisive normalization. 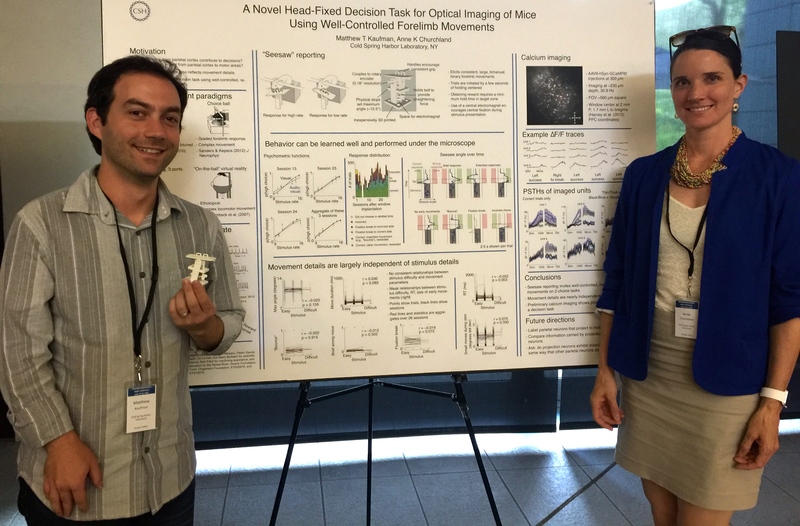 I also caught up with former Computational Vision TA Marjena Popovic, who promises to tell me soon how responses of neural populations change following experience with particular stimuli. My trip to Pittsburgh/Carnegie Mellon capped the trifecta of talks. I have to say that Pittsburgh is a really great city: I had a delicious dinner with Bita Moghaddam’s lab where we discussed, among other things, scientific blogging. I found out from Bita that this conversation inspired their lab to start blogging, too. And in fact, their first blog post highlights my visit. I also enjoyed hearing the latest from Byron Yu’s lab, especially the work of his student Ben Cowley, who had extensive knowledge of our newly developed analysis techniques, and even described them as “intuitive”!! 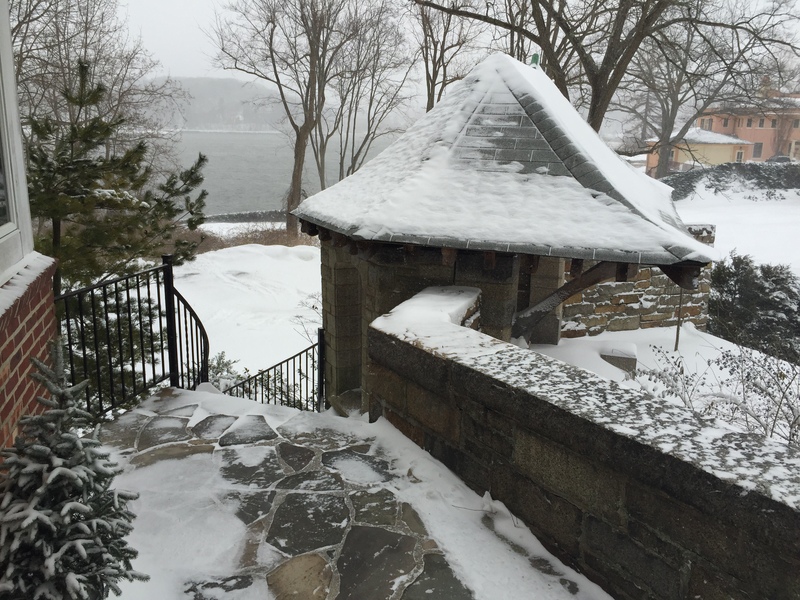 The travel was great, but I am happy to be back home at Cold Spring Harbor, where science is progressing despite a lot of cold weather and a blizzard! Sensory signals enter the brain at a rapid rate, and they differ greatly in their relevance for the organism at a given moment: the voice of another speaker might contain far more signal than background noise from a barking dog, a television or a ringing phone. A large body of work has tried to understand how the brain achieves this. A new paper in Nature Neuroscience provides some new insights about the role of the thalamic reticular nucleus (TRN). The TRN has been thought of as a “gatekeeper” of sensory information to the thalamus because it receives inputs from both cortex and thalamus, but only projects to thalamus. Interestingly, TRN neurons express high levels of ErbB4, a receptor tyrosine kinase implicated in mental disorders like schizophrenia. Understanding the role of ErbB4 neurons has become possible recently because, fortuitously, ErbB4-expressing TRN neurons are mostly SOM+ neurons, a well-studied class of inhibitory neurons which can be specifically controlled using cre driver lines. Sandra Ahrens, Bo Li and colleagues did just that: they bred mice that were deficient in ErbB4-SOM neurons and tested their behavior. They found that the deficient mice had altered performance on behavioral tasks requiring them to filter out unnecessary information. On one task, animals had to ignore and auditory distractor and attend to a visual cue (Figure, right). The ErbB4 deficient animals were unable to suppress the incoming auditory signal, in keeping with the idea that the TRN plays a role in filtering out irrelevant information. But here’s the really interesting part: on another task, ErbB4 knockout animals actually did better! On this task, animals had to ignore auditory distractors and listen for an auditory target (a warble; Figure, left). The ErbB4 deficient animals were better at ignoring the irrelevant distractors, and could identify the target sound better than their spared litter mates. The two tasks differ in a number of ways, so understanding why one got better and the other got worse is not straightforward. For instance, the impaired task was what the authors describe as “incongruent”: the auditory signal the mice were told to ignore had previously instructed them to do something else. This was unlike the other task in which the irrelevant information was more like background noise. But even if task differences make it reasonable that the behaviors might differ, we are still left wondering what it was that happened to help the animals get better on the auditory only distractor task. The improvement in deficient animals suggests that in intact animals, an active process limits their ability to suppress distractors. A competing explanation is that in intact animals, maladaptive behavioral strategies limit performance- like paying attention to reward history, for instance. Reward history has no relevance for the current trial, but typically has an effect on decisions anyway. In the paper here, though, it is not clear why a maladaptive strategy would affect one behavior more than the other. In any case, the differing effects on the two tasks are a mystery. 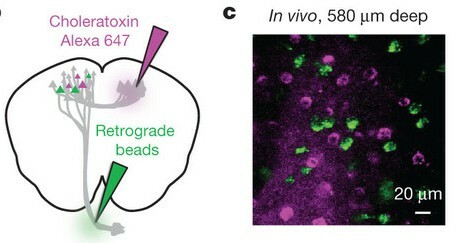 The ability to target specific populations of neurons might bring about more such instances in which performance improves. Finding out the reason might require taking into account a number of factors which, together, shape the animal’s behavior.